You are important, your time is precious and it is critical that you employ the right nanny, staff - we understand. 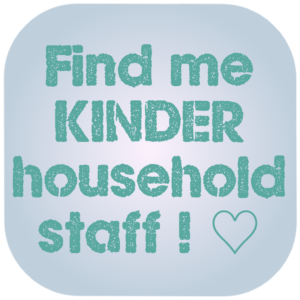 We are a top London Nanny Agency committed to doing the utmost to help you find the best nanny or household staff for you. Upon Registration our experienced, professional consultants start working hard for you. We answer quickly and we support throughout. 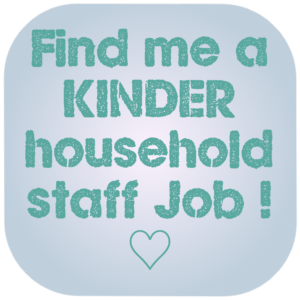 Alongside the search we'll offer you sensible advice, gleaned from our many years of experience in nanny and domestic staff recruitment. 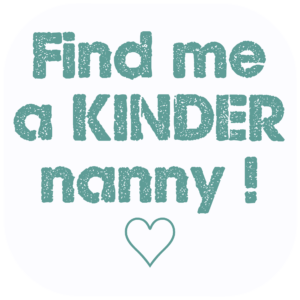 KINDER Nanny Agency London has Nannies and Private Staff to suit all budgets. Whether you need someone qualified and experienced or just someone with the right personality, we will find your perfect nanny. Call us Now, to find our more …. Ready to see top Nannies & Staff now? Send us your brief so we can send you top Nannies or Private Staff Candidates! NO Fee to start a search! If you already know what type of employee you need then you can register with us (registration is free) and one of our experienced consultants will call you to discuss the finer details of your search. Alternatively, call or email us to discuss your needs first, then register when you are sure of what you are looking for. Once you have registered we will immediately begin the search for your perfect candidate. We have an extensive database of candidates to contact with regard to your position, and access to other large databases. We also advertise to attract new applicants for your role via our own jobs board, and also through other advertising channels. Any advertisements on your behalf will never identify you, by any name or photo or any other identifying detail. Our client's privacy is paramount. We will then present the candidate, with their files, to you. 1. You decide if you would like to interview the candidate -you can discuss the merits of each candidate with us at any time to help you decide. The more you feedback to us about what you like/ do not like in a candidate the more we can correctly target the right candidates for you - and save you time! 2. If an interview goes well you may decide to offer the candidate the position (subject to satisfactory reference checks) or you may wish to offer the candidate a trial. Trials are common and many candidates are happy to be offered a trial. Please see our full terms and conditions concerning trials as the first 2 days are free (no agency fee) thereafter further days are subject to pre-payment. 3. You can discuss with your appointed Consultant or with anyone else at KINDER anything regarding the candidate or their employment. There is an art to successfully settling in a new employee and the team are here to support you in that. We want the placement to be a long and happy on all sides. 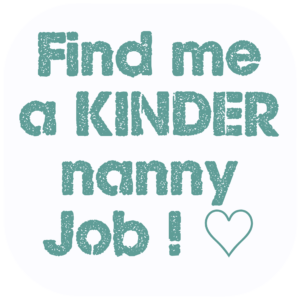 Register Now for FREE to find your ideal Nanny/ Staff! It is completely FREE to register and send us your Nanny job brief or Household staff brief. Our placement team will start your search immediately - obligation free. Only if you wish to employ one of our candidates would you then pay our very affordable Nanny Agency Fees. Once you have selected your chosen candidate, we recommend signing up with a reputable nanny or staff tax payroll company, such as NannyTax, which offers to take care of your employee payroll for you for the very reasonable cost of £276 per annum. Want to check our Client Terms and Conditions and affordable agency fees?